Press Release: Illinois Department of Employment Security (IDES) Director Jeff Mays will be available to discuss the agencys latest effort to help jobseekers get back to work sooner. 1. 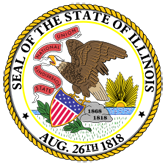 Illinois Department of Employment Security Director Jeff Mays to Discuss Heightened Enforcement, Benefits of Employment Service Registration Requirement (16-0503-IDES_Media_Advisory_.pdf).